Certified Containers for Intermodal Transport by Ship, Rail, and Truck. We can supply new and used containers in many sizes, and can es, doors, HVAC, lighting, electrical and more. 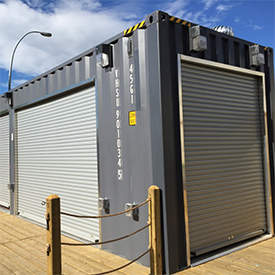 Sea-Can Containers Ltd. can provide container customization by modifying your container to fit your specific needs including custom sizes, doors, HVAC, lighting, electrical and more. 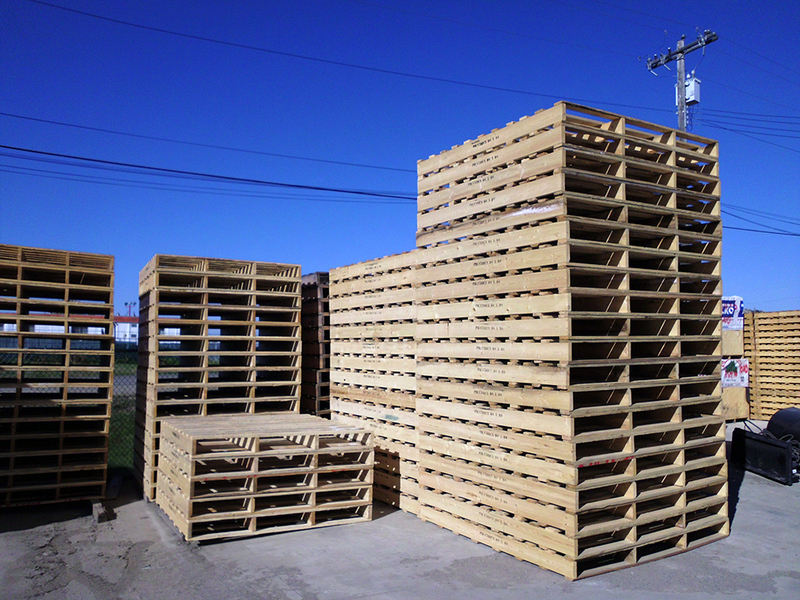 We manufacture a variety of industrial wood products including pallets and pipe bunks. Sea-Can Containers Ltd. also manufactures wooden crates of all sizes, outrigger pads, and more. Sea-Can Containers Ltd. is a family-owned, Alberta-based company that has been in business since 1976. We have a large inventory of new (one-trip) and used shipping containers in our Winterburn yard. 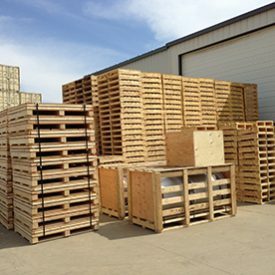 Our services include sale, modification, and rentals of shipping containers, as well as the production of high quality industrial wood products. We have a 4.35-acre yard with 14,000 square feet of shop space for container modifications and wood production. 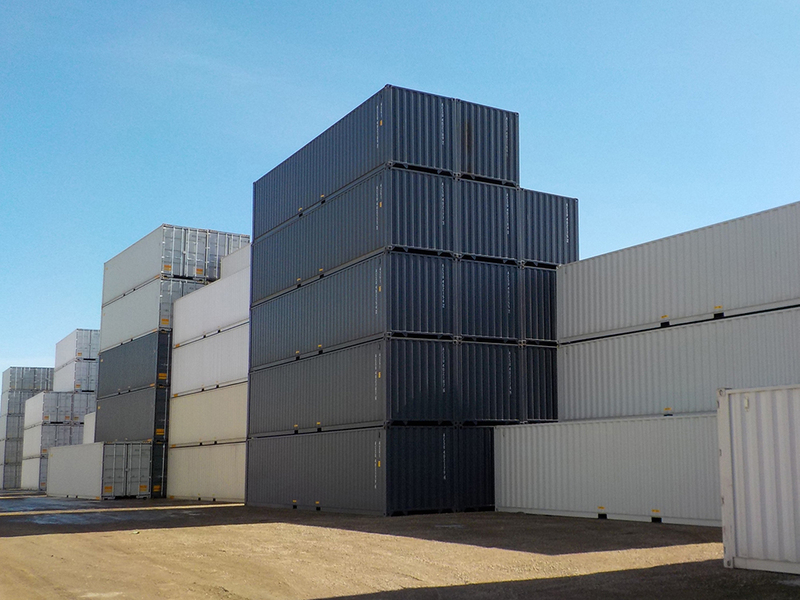 Sea-Can Containers Ltd. has the largest selection of intermodal containers in Western Canada. 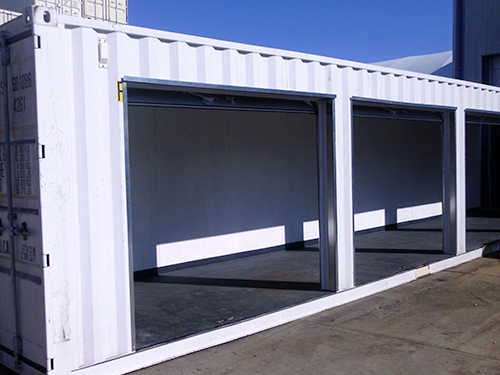 We sell both new and used shipping containers and our pricing is extremely competitive. We also will rent any of our used containers at low rates. 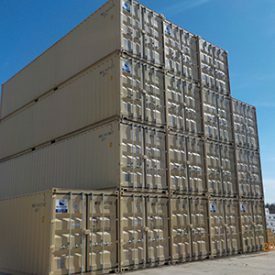 Since we have a certified container surveyor on staff, you can be assured that even our used containers are of the highest quality and perfect for your needs. Sea-Can Containers provides a wide range of wood products, all manufactured in our 12,000 square foot facility in west Edmonton. As experts in custom crating solutions, we can produce the custom crate that fits your needs. Our resilient custom designs ensure a proper fit and maximum protection for any size product. Sea-Can can modify your container to fit your specific need by doing various customizations. That includes custom container sizes, garage doors, man doors, roll-up doors, windows, HVAC, as well as lighting and electrical. Contact us and let us know your specifications and we will make sure you get what you need.